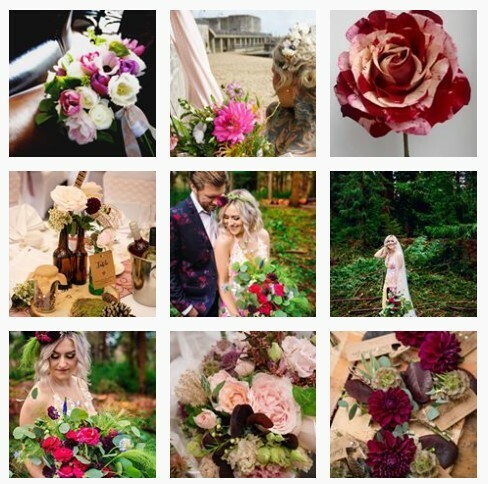 BellaCrafts: How did you decide/begin your Floristry business? 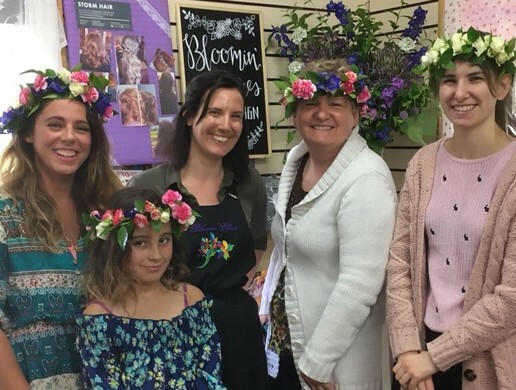 BellaCrafts: Have you always had a strong interest in floristry? BellaCrafts: We know one of your core values is sustainability. What does this mean in floristry and how does it influence your arrangements? “I started learning about techniques through a college course I attended and all the arrangements were made using Floral Foam, there were no other alternatives that we were told about. I went on a course run by a floral designer in the north of Hampshire because I loved her style of floristry and this is when I learnt about techniques other than using floral foam. To begin with I enjoyed these other techniques because of the freedom it gave you to arrange the flowers in a more natural way creating bends and twists with the flowers natural form. Through researching these other techniques I learnt that floral foam was made of many chemicals and single use plastic that will never break down. The real wakeup call for me was when I read an article about the amount of plastic bases and floral foam that are chucked away into landfill daily at crematoriums and cemetery’s and I found it so shocking. I made a conscious decision to avoid floral foam and plastic bases from then on in. I can’t say I am completely foam free yet – there are certain occasions when there is no alternative. However, I feel I am hopefully paving the way and creating a little less plastic pollution by creating my designs foam and plastic free wherever possible. I have loved learning about sustainability and find it such an important topic for our future, especially having two young children. So as well as being conscious of my plastic use I also buy and grow my own flowers and foliage when seasons allow and I recycle and reuse many jars and vessels as I possibly can! BellaCrafts: Do you have any favourite plants that you use in your designs? "I love to use herbs in my design – they are great! And so versatile. The first thing a lot of us do when we see a flower is bend down to smell it! And a lot of the time we are so disappointed because that flower has no smell! Herbs are great because they look fabulous and smell amazing pretty much all year round! 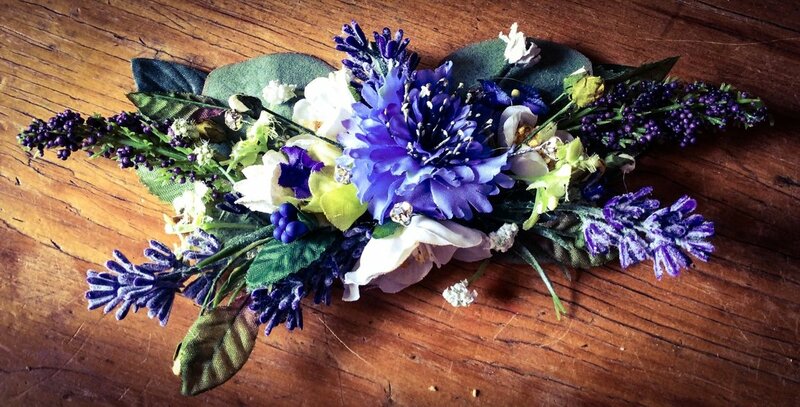 I always put a sprig of lavender in my buttonholes – to calm the nerves. And a sprig of Rosemary in my Funeral designs as it represents remembrance." 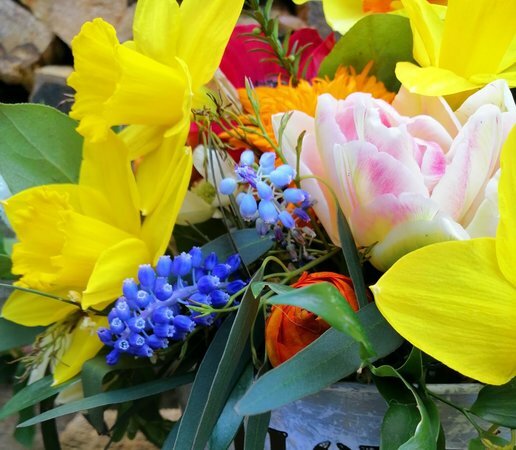 BellaCrafts: What will we learn during the Easter workshop with you? BellaCrafts: Do you have a favourite season when it comes to floristry design? 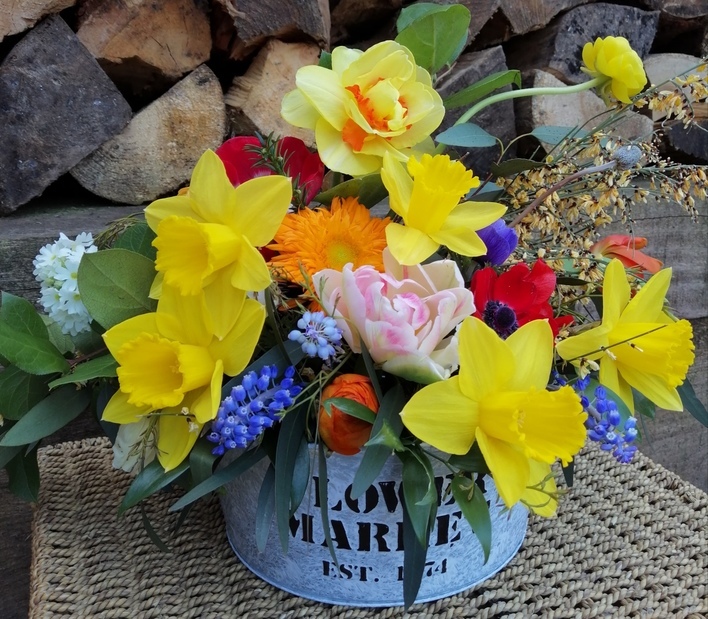 BellaCrafts: Aside from the gorgeous display you're making in our workshop what other pieces will you making for Easter this year and how will you be celebrating? If you have a question for Clare we'd love to hear it and pass it on to her. just drop us a coment below. The workshop will be taking place Saturday 13th April 10:30-12pm. Places are filling fast and are very limited so do book below or drop us a call on 023 8051 7054.